Bringing Life to the World’s First Corning Fibrance Smart Laser Headphones. Collaborating with Corning Inc. and Quantum Bakery, a California based startup of ex-Google marketing director and engineers, we have created the world’s first smart laser headphones. Glow went through more than 1 year of product development before a successful crowdfunding campaign on Kickstarter and manufacturing. Glow is the world's first smart laser headphones. Going further than simply listening to your music, it allows you to visually enjoy the audio experience. With its dedicated smart remote, its intuitive features allow users to control their smartphone’s music volume, skip tracks, and even act as the camera shutter. Using Glow's dedicated app, the laser light can pulsate to the beat of the music, pulsate at its own speed, or just constantly stay on or off. Not only is it great for bold self-expression, it can also be used as a safety light while outside during the night time. The main design direction was based on accentuating the core feature of the extremely unique Fibrance laser wire. The overall design language remains very discreet in order to let the laser light take the center stage and glow brilliantly. Using the elemental shape as the core design characteristic. Its dedicated four-way controller remote with anodized metal clip, CNC machined 4000 series aluminum earbud housing, ergonomic silicone wingtips, premium Balanced Armature audio drivers, and software app for music EQ and laser configuration help to create a fully thought-out user experience. Glow's central element is the shape of a circle. During the initial design process, we looked at the idea of laser light as a force of energy, and this translated into the shape of a perfect circle. The metaphor comes from the shape of the world's strongest light source, the sun. We wanted to infuse this idea into the smallest details of Glow headphones. Through this thought process, we were able to create Glow's own unique yet simple design language. The transparent wires allow the laser light to shine through clearly without any obstructions. 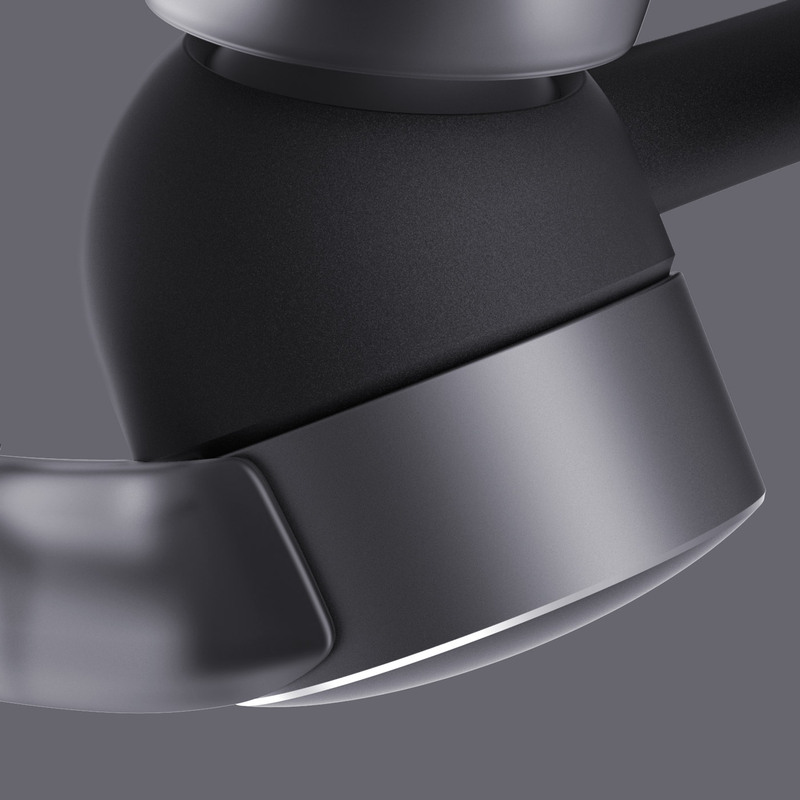 By taking advantage of metal's natural properties of light reflectivity, the laser light is even further accentuated. Glow's industrial design wasn't just for its outer looks. 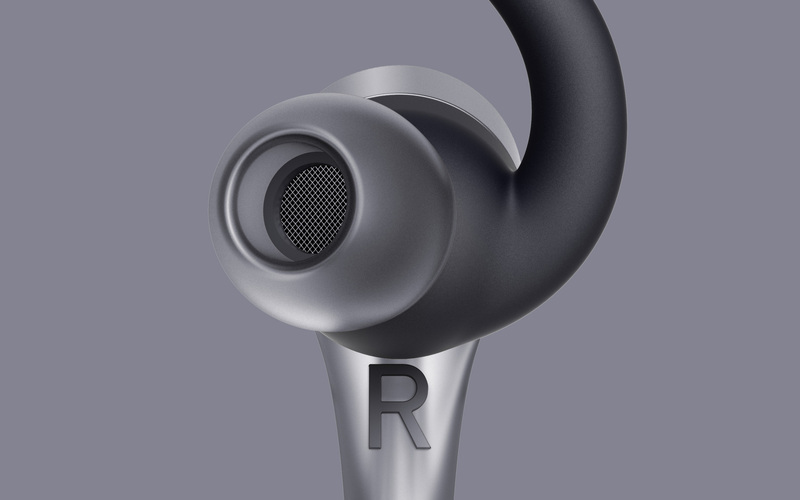 We also focused on the fundamental functionality of headphones by developing its ergonomics and acoustic structure. Its silicon wing tip comes in multiple sizes, which helps to stay on your ears even during physical activities. A better fit also translates to better sound quality. The right and left symbols also have been accentuated for easier recognition. Too many of us fumble with headphones trying to tell which way is right, so it was important that we made sure it was instantly recognizable. Glow's remote has an intuitive 4-way controller interface, which allows anyone to use it with zero confusion. The button symbols are raised from the surface, so that users can recognize each button without having to look at it. Also, the metal clip on the back can be used to hook onto your pockets or shirt. Iterative testing process to realize an exclusive technology. During the whole design process, there were many experimentations. Because Glow was the first product to use Corning's Fibrance laser wire technology, many tests had to be explored in order to thoroughly study its usability. As a result, every design decision has a purpose. Fibrance is an optical fiber made of glass, so there is a bending tolerance. Therefore, we needed to find ways to install the fiber and safely protect it, and prevent the glass from breaking. Because Glow uses laser, instead of LEDs, it can shine much brighter and more consistently. When emitting this strong of a light, its laser diode starts to produce heat. A solution was developed, where the metal clip on the remote can act as a heat-sink. Glow has a dedicated battery in order to prevent stealing the smartphone's battery. Also, this allows Glow to emit laser light on its own and can be fully charged through its micro-USB very quickly. Meeting all of these technical requirements meant multiple iterations of prototype testing which involved high quality aesthetic design prototypes, rough 3D printing, and many days of user testing. Applying a cohesive design to Glow’s brand identity and collaterals. Together with the Product Design of Glow headphones, we worked on developing the visual identity of Glow via its logo design, color scheme, packaging design, and marketing graphics. We wanted Glow to represent an effortlessly suave, clean, confident, and slightly rebellious image. The logo itself is extremely simple with its thin typeface, containing a uniquely designed letter “g” that retains legibility while representing the core characteristic of Fibrance wire. The core thought of putting Fibrance at center stage also applies to the packaging of Glow. In a clean white box, the image of Glow stands out in a powerfully confident way. Inside, a dedicated carrying case reinforces the elemental circle design language apparent in the Product Design. This simultaneous development of Product Design and Brand Identity helps to develop a holistic brand that presents its own unique perspective to the consumers very clearly, further communicating the brand’s focus and dedication in what they do.